Prepare for the exciting taste experience! 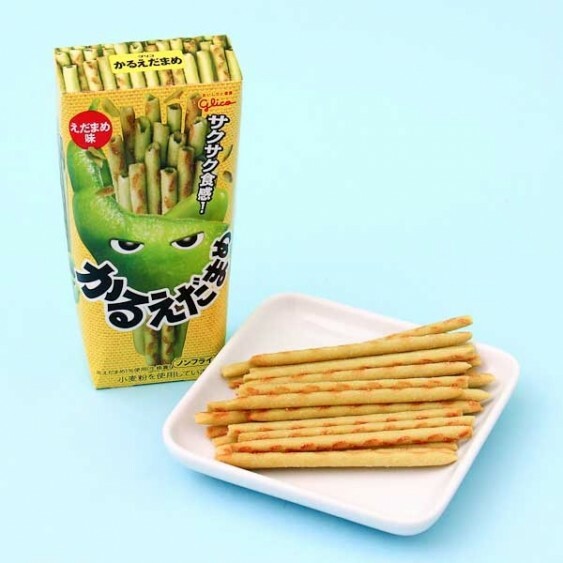 The hollow and crispy biscuit tubes are made from potato, but are all green! The taste and color are a mixture of potato and edamame - a roasted soybean! Roasted soybeans, in Japanese edamame, are traditional and delicious savory snack. Taste the traditional flavor in a new form and remember to share the experience with your friends! 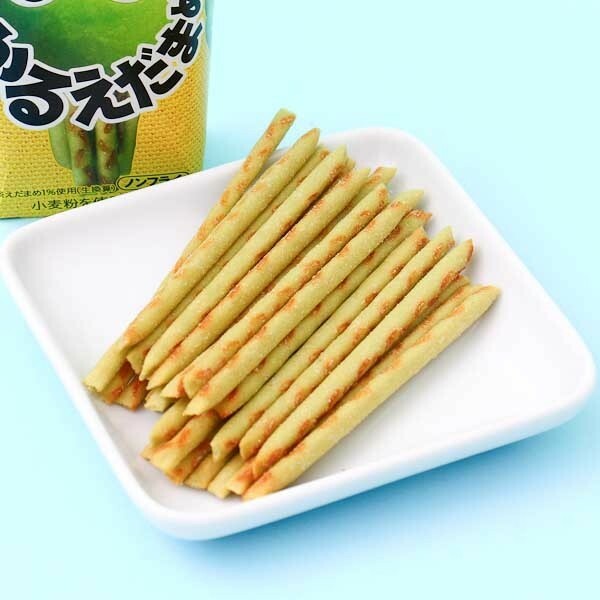 Glico has made a new savory treat, roasted soybean flavored potato sticks!